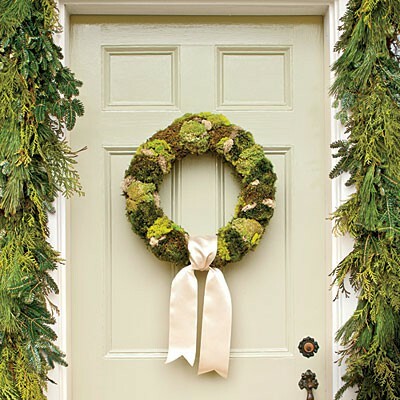 Today I am sharing 5 diy moss wreath ideas. I recently made a moss wreath for out kitchen. 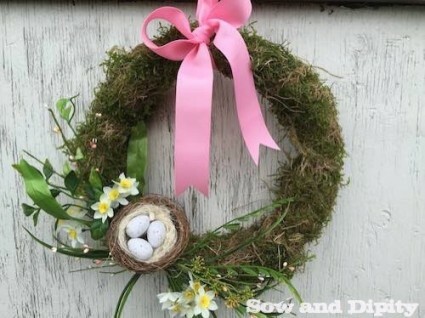 I am really on a wreath roll this season. 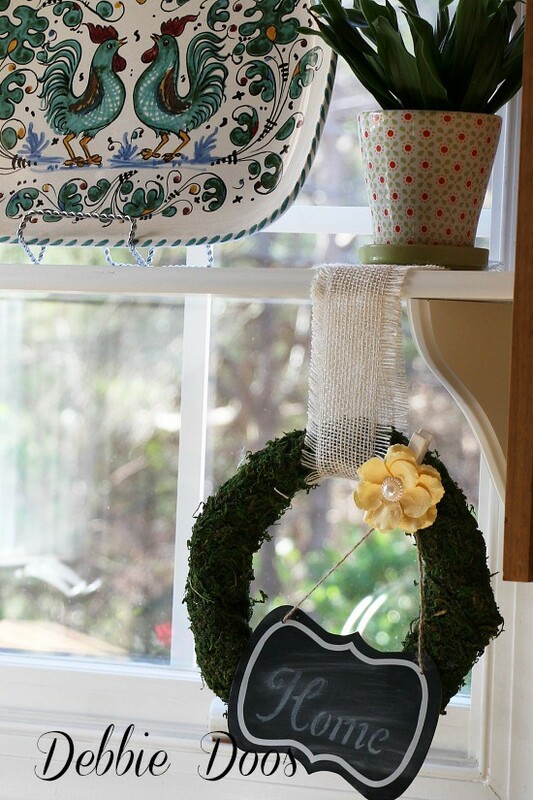 Dollar Tree Spring wreaths for the kitchen and my last wreath I shared diy Buralp bunny wreath, I would say I am just about wreathed out. One can never have too many though. Especially, when you make your own, and they cost you very little to do. 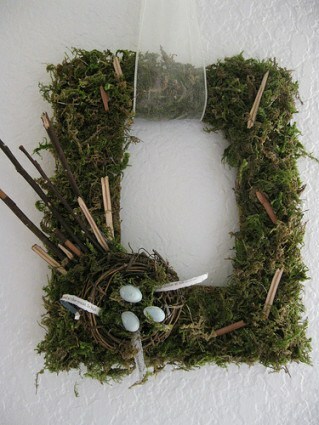 This moss wreath was not a planned project. 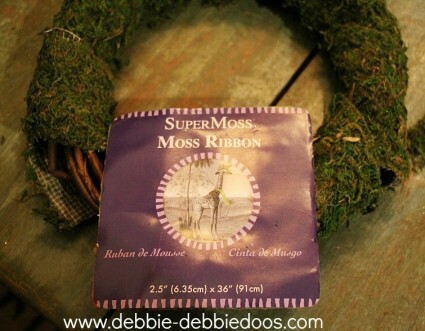 A friend of mine gave me the moss ribbon she picked up at Hobby lobby. She thought I would like it. Considering I have never seen it before it was new to me and I was thinking of different ways to use it. I have a few other ideas up my sleeve I may share later on, perhaps in the summer. I used the entire roll to wrap around my mini grapevine wreath from the dollar tree. I found these cute chalkboard labels at Michaels to stencil home on the tag. 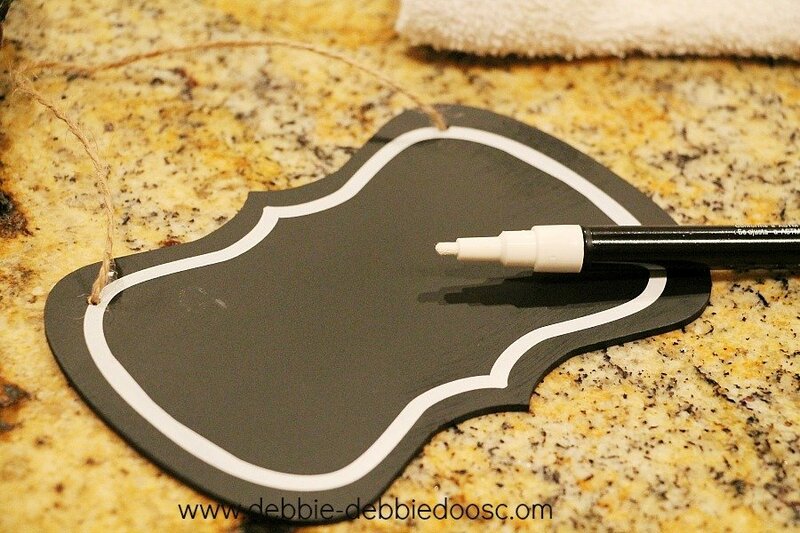 I also found the chalkboard pen at Michaels. Then I simply hot glued the clothespin flower clip. That simple and that fast. 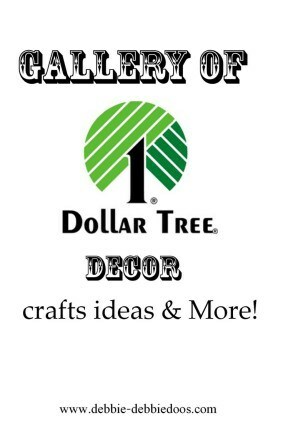 You can check out my Dollar tree archives while you are here. 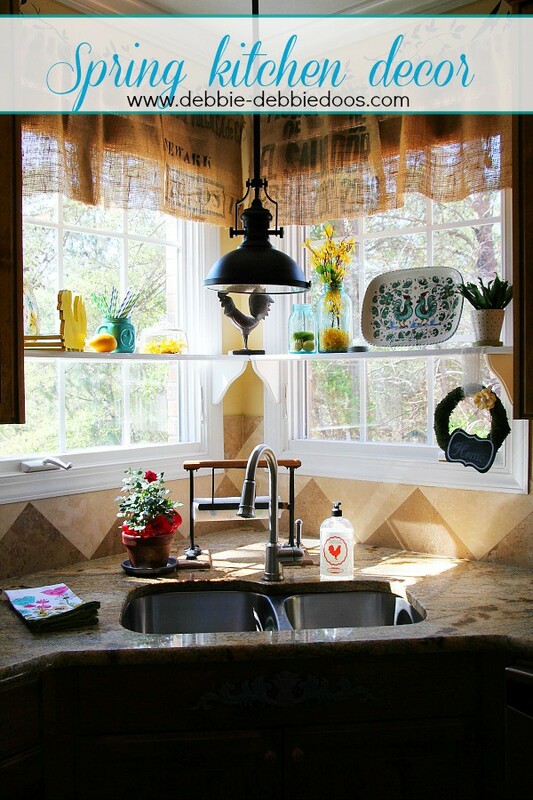 Packed with budget friendly decor ideas. 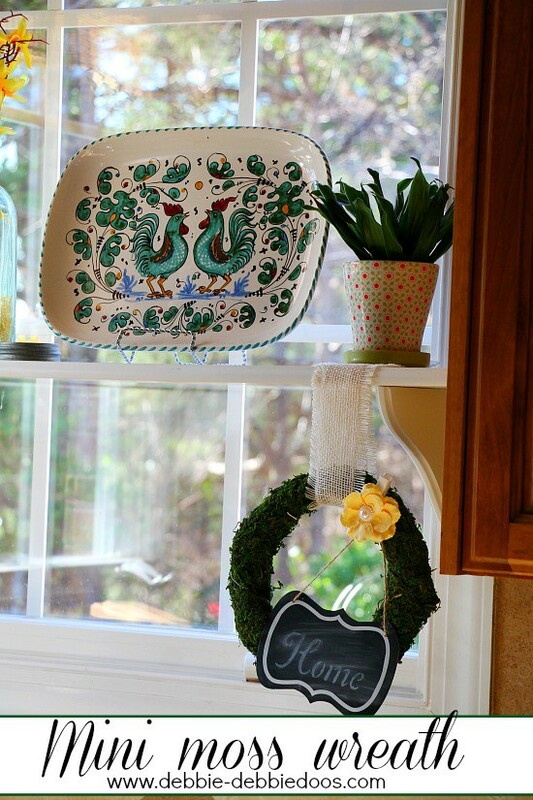 Cute new wreath Debbie 🙂 it looks great in the kitchen. 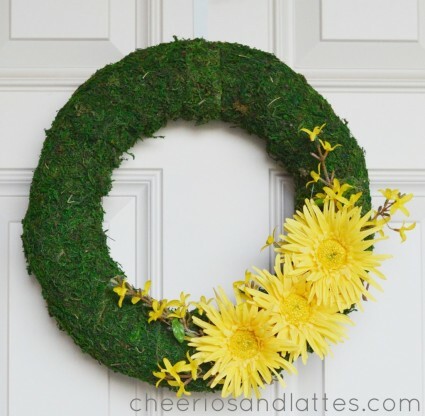 Your wreath is sweet! By the way love your rooster tray! Thank you, that was a birthday gift last year from a friend. I love it too! 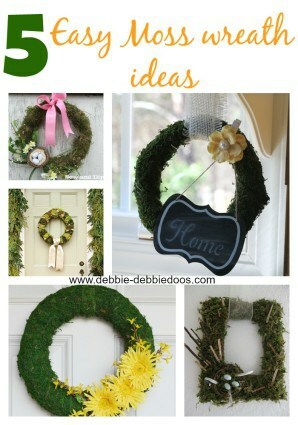 Thanks for sharing how to make your mini wreath and the ideas from the other moss wreaths too! Happy Easter, Debbie! Always nice to see you:) Same to you. Sounds like a plan Emmy! It turned out great! I’ve been on a moss kick. I threw a woodland themed baby shower last November and ordered a cool moss mat. Think table runner made of moss. It was a little on the messy side but so very cool to put under the centerpiece. I also up-cycled an old tree trunk full of knots and holes and added moss and some latex and silk leaves and made a fall mini tree. It turned out stunning! Moss is so versatile! Sounds very cool and I love the sound of the theme Karen!